Airbus announced the rebranding of the CSeries of aircraft it took control of last week from Bombardier, as JetBlue ordered 60 of the A220-300 jet. 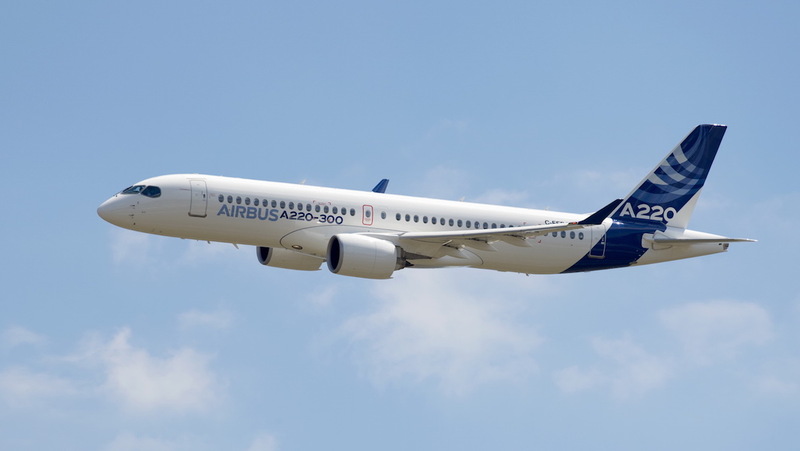 The CSeries’ CS100 and CS300 are now the Airbus A220-100 and A220-300, covering the 100 to 150 seat range, aimed at thinner routes than the company’s larger single-aisle aircraft. “Everyone at Airbus has been looking forward to this historic moment. Today, we are thrilled to welcome the A220 to the Airbus family and are honoured to see it wearing its new Airbus colours for the first time,” Airbus president of commercial aircraft Guillaume Faury said at the launch. New York-based JetBlue is the first customer for the rebranded A220, signing an MoU for 60 firm orders for the larger 130-seat A220-300. The agreement includes options on a further 60 A220s. Airbus said deliveries of JetBlue’s A220s will start in 2020, and if the options are taken up, the second batch would be delivered from 2025. All JetBlue’s A220s will be assembled at the Airbus Mobile, Alabama plant. “We expect the A220 to be an important long-term building block in our goal to deliver superior margins and create long-term shareholder value,” JetBlue EVP Steve Priest said. JetBlue will use the A220s to replace its fleet of 100-seat Embraer E190s. JetBlue will take delivery of the first five aircraft in 2020, and expects to start phasing out its E190s shortly after. As part of the agreement, JetBlue also converted part of its A320neo-family order. It will now take 25 of the larger A321neos instead of A320neos and adjust the timing of deliveries. Travelers coming through a busy New York City airport had a security scare Tuesday night after a pilot accidentally entered a hijack alert. According to FoxNews.com, JetBlue Flight 1623 was scheduled to take off for a journey to Los Angeles from John F. Kennedy International Airport at 7:30 p.m. ET when the plane stopped responding to air traffic control communications. The loss of response to the tower was caused by the pilot entering a hijack alert by mistake, which caused the Port Authority Police Emergency Services to send heavily armed officers to board the plane and investigate the terror notice. Several of the passengers on the JetBlue flight believed they were experiencing a terrorist attack. 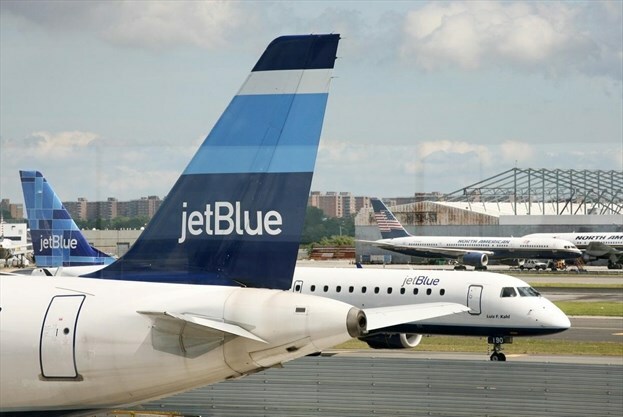 Port Authority spokeswoman Lenis Rodrigues said the JetBlue aircraft was inspected and authorities cleared it before deeming there was no security threat. Authorities in Turkey are investigating why an Asiana Airlines Airbus 330-300 sheared off the vertical stabilizer of a parked Turkish A321 in Istanbul over the weekend. 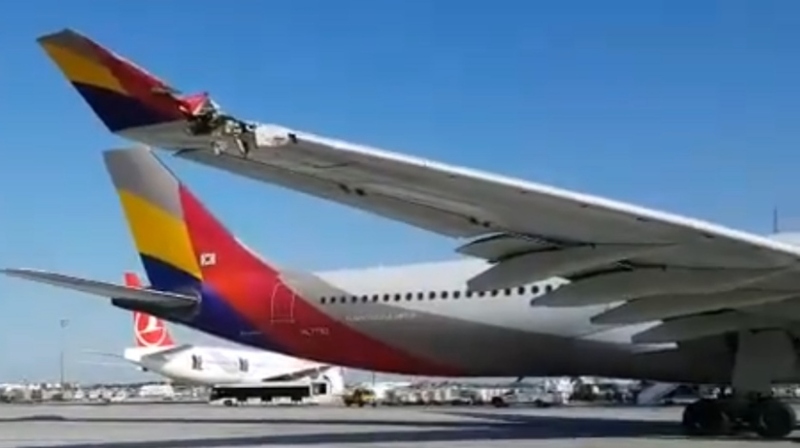 Video taken of the incident reveals that the Asiana flight was taxiing for a flight to Seoul when it struck the other airplane parked in an alleyway. No one was hurt in the incident. The Turkish aircraft’s vertical stabilizer collapsed and folded over the fuselage, although the base of it appeared to remain attached. According to Flightradar 24, the damaged A321 was manufactured in 2006 and acquired by Turkish Airlines in 2014. The Korea Times said Asiana confirmed that its aircraft struck the Turkish airplane and this caused a fire in the stub of the stabilizer that’s just visible in the video. Southwest Airlines Flight 1380: an Uncontained Engine Failure? It's every passenger's nightmare: flying miles above the Earth and an explosion occurs. You might check the loudness of it relative to your position on the plane. Air rushes, objects are flying around the cabin means there’s a hole somewhere…Oxygen masks drop from the ceiling, confirming your fears. On Tuesday April 17th, 2018, this nightmare became real. A Boeing 737-700 flown by Southwest Airlines, with 144 passengers inside, two jet engines underneath, took off from LaGuardia (NY) for Dallas. About 20 minutes after takeoff, the flight reached cruising altitude of 32,000 ft and the captain turned off the seat belt sign. But, encountering turbulence, the crew requested seat belts back on, according to a passenger. Right after, the left engine seemed to explode and debris broke a window. A passenger was sucked into the window and was struck, half in and half out. Passengers tried to pull her back into the cabin, succeeding only after the plane performed a rapid descent and an emergency landing, but the damage was done. The passenger died from blunt force trauma to the head, neck and torso. Several rows back from the fan blades, in the window seat sat Albuquerque resident and mother of two Jennifer Riordan. There had been an announcement of turbulence, according to a passenger on the aisle seat of the same row, and both the middle seat and the aisle seat passengers had secured their seat belts. Riordan had secured her seat belt, too, say NTSB inspectors. The pilot, in this case former US Navy Pilot Tammy Jo Shults, set the cruise altitude on a cabin pressure controller during pre-flight procedures. After the wheels come off the ground during takeoff, the outflow valve began to close, which initiates pressurization of the cabin. The 737-700 would take about 20 minutes to ascend to a cruising altitude of 30,000 feet. That is when flight SWA 1380 lost its blade. The cabin air pressure is about 10 pounds per square inch, which is equal to the air pressure at about 6000 feet above sea level. The stronger the structure of an airplane, the more differential pressure it can tolerate. The average is 8 lbs. per square inch. When the cabin window of flight SWA 1380 was shattered, the pressurized air blew outward. According to Federal Aviation Regulations, pilots begin to need oxygen when they fly above 12,500 feet for over 30 minutes without cabin pressurization. Passengers however, need to use oxygen continuously anywhere above 15,000 feet in altitude without cabin pressurization. After the engine failure, Shults and her co-pilot descended to 10,000 feet in just five minutes, high enough to not hit anything, but low enough so that everyone aboard can breathe safely. Commercial airplanes have a variety of safeguards to protect the passengers during engine failures—the use of multiple engines, for example. Pilots are trained to cut off fuel to a failing engine and land a plane on the remaining engine. A modern jet engine assembly has thousands of moving parts, many of them rotating at very high speeds. The fan blades, visible from the front, are the biggest. The largest of jet engines spin the fan blades at about 4,000 RPMs generating forces of up to 7,000g. Parts can exit the cowling at speeds of 1,000 ft/s, about the speed of a handgun bullet, but with considerably more mass. A jet engine under development must show that it can withstand an uncontained engine failure. In the video below is what may be the first such test available to the public, test engineers hold their breath as a Rolls-Royce engine destined for the Airbus A380 spins up. An explosive device shoots a fan blade off its mounting, reducing the engine to a smoking ruin. In a protected facility, the engineers exhale and congratulate each other. Nothing shot out of the engine where it should not have. The number of uncontained “gas turbine engine rotor failures” has been on a steady decline over the years, as reported by the FAA in a 1997 report, even though the number of miles flown has increased. Protection rings surround the fan blades to contain them should they come off. In this and the previous Southwest failure, the containment rings seem to appear intact. However, in both cases, the inlet cowl was torn away and is completely missing. It is likely that pieces of the inlet cowl formed a cone of debris, with at least one piece striking the window of the airplane. The fuselage is protected by a Kevlar band wrapped around it. It's wrapped in the same position aft on the plane as the fan blades. That’s why there’s no windows there [row 11], according to John Baker, PE, in EngTips, our online engineers forum. In light of damage occurring from debris blown back from the engine in flight, it would seem the Kevlar bands, in line with the fan blades would only offer protection while the aircraft is on the ground, which is not when the blades are spinning their fastest and would be encountering their highest forces. U.S. National Transportation Safety Board (NTSB) investigators at Philadelphia airport found that the No. 13 fan titanium alloy blade broke off near the disk hub. The disk hub was examined, and evidence of fatigue cracking was discovered. 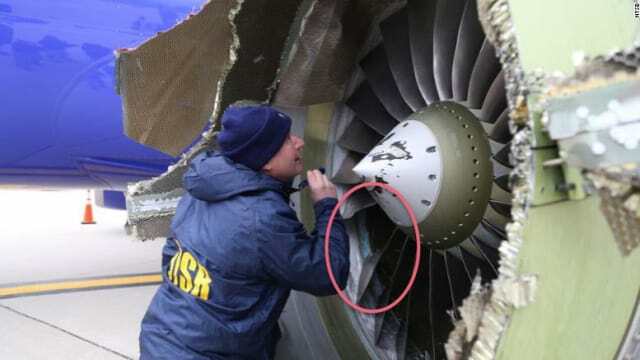 According to NTSB Chairman Robert Sumwalt, the fan blade separated in two places, and that it appears the secondary failure of the turbofan engine was caused by this fatigue fracture. Sumwalt described the damage to the leading edge of the left wing, saying it “was banged up pretty good,” and that they could “see paint transfer.” The NTSB found no acrylic shards from the windows inside the airplane around row 14, where the victim was seated, and the window was broken. Sumwalt spoke highly of the CFM56 engines and the entire Boeing 737 fleet, but indicated awareness about the similarity of the uncontained engine failure of the August 27thSouthwest Airlines flight of 2016. An August 2016 Southwest Airlines flight 3472 from New Orleans to Orlando also suffered an uncontained engine failure, also from a from a fan blade breaking off and also destroying the front cowling. It also made a foot-long tear in the wing. However, flight 3472 landed with all 104 passengers and crew intact. 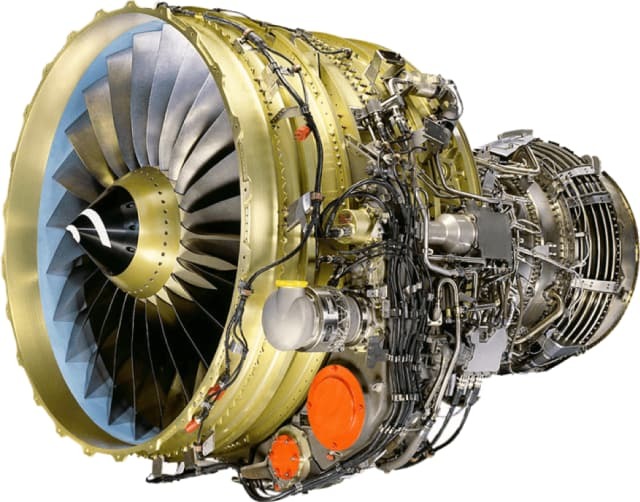 After the 2016 incident, engine manufacturer CFM issued guidance protocol for ultrasonic inspection of specific high-time fan blades and the FAA released a proposed Airworthiness Directive to require engines that logged more than 15,000 cycles-in-service to undergo ultrasonic inspection in June of 2017. According to Reuters, Southwest, along with other airlines, pushed back on CFM’s protocol, saying the engine manufacturer had “vastly understated” the cost and number of engines in operation and inspecting all engines in 12 months was not enough. Southwest also requested not all fan blades be inspected. The FAA proposed the testing be done in 18 months, to which the airlines agreed. However, there is little to indicate that the tests were done as proposed. Former NTSB chairman Mark Rosenker said, “There did not seem to be an urgency” at the FAA to complete the inspections. MRO-Networks.com reports that Southwest was looking to cut maintenance costs by using parts from old engines in a 2012 report. It is not known if the fan blades were taken from old August 2016 engines. Southwest CEO Gary Kelly said the engine had logged only 10,000 cycles since being overhauled. A cycle is one takeoff and one landing. The plane had been inspected Sunday. NTSB inspector Sumwalt said in him preliminary report that a crack appeared towards the inside of the fan blade and would not have been visible in a visual inspection. In August 2016, Southwest Airlines Flight 3472 suffered a similar failure, an uncontained engine failure with a CFM56 turbofan engine -- the same engine as last week's Flight 1380. The CFM56 engine is the world’s bestselling jet engine, according to CFM, with over 30,000 delivered and powering both Boeing and Airbus planes. 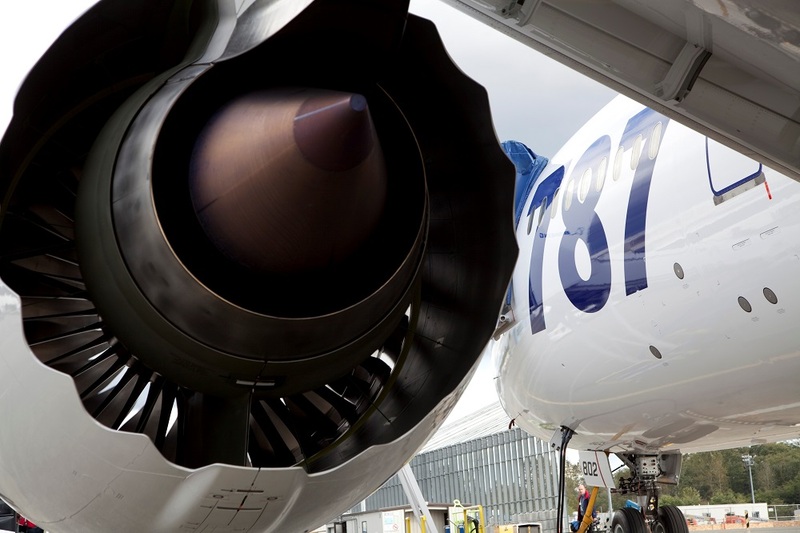 CFM is a joint venture composed of equal parts GE (US) and Safran (France). Southwest announced in 2012 that it is phasing out the 737 "Classic" with the CFM56-3 engines starting in 2012 and finishing by 2017. Several parts on the CFM56-3 engines are interchangeable with the CFM56-7 which is used on Boeing 737-700. It is not knows if the turbine blades in either incident were from the older engines. In response to the recent tragedy, Southwest released a statement saying they would be accelerating ultrasonic inspections of CFM56 engine fan blades, which they said would take about 30 days. Southwest Airlines reported operating 693 737-700/800s as of December 31st, 2017. The Transportation Security Administration has withdrawn its proposal to establish a security program that would have affected private and corporate aircraft operators, the agency said on Friday. The agency had proposed the “Large Aircraft Security Program” in 2008, suggesting operators of GA aircraft that weigh more than 12,500 pounds should be required to implement security programs, vet their crews and check passengers against federal watch lists. The TSA held a series of public meetings and reviewed more than 7,000 comments from the public that were submitted in response to the Notice of Proposed Rulemaking. On Friday, the TSA said that based on all of the information they received, and “a re-evaluation of the proposal in light of risk-based principles,” they have decided to abandon the effort. Nobuyo Sakata, AOPA’s director of aviation security, said the GA community’s active opposition to the plan was key to the TSA’s decision to withdraw the proposal. AOPA said in a statement they will continue to actively participate in the Aviation Security Advisory Committee and work cooperatively with the TSA to address security concerns and improve other security programs such as the DCA Access Standard Security Program for Ronald Reagan Washington National Airport and the Alien Flight Student Program. NBAA, GAMA and EAA also lobbied against the proposal. Rep. Bill Shuster, R-Pa., has announced he is no longer pursuing the separation of air traffic control from the FAA. After a couple of attempts and massive opposition from hundreds of groups with a stake in aviation, Shuster, House Transportation and Infrastructure Committee Chairman, conceded Tuesday his bill doesn’t have the support to pass. “Despite an unprecedented level of support for this legislation – from bipartisan lawmakers, industry, and conservative groups and labor groups alike – some of my own colleagues refused to support shrinking the federal government by 35,000 employees, cutting taxes, and stopping wasteful spending,” Shuster wrote in a statement. Instead, he said he’ll work toward long-term funding for the FAA in a proper reauthorization bill. Shuster proposed moving air traffic control to a nonprofit corporation run by a board of directors that most in general aviation believed would be dominated by airline interests. The initiative also had the support of President Donald Trump but Shuster could not muster enough congressional support. AOPA was the first to react and while President Mark Baker acknowledged the massive lobbying effort that helped kill Shuster’s bill, he also pledged support for Shuster’s call for stable funding for the FAA. “We look forward to working with Chairman Shuster and other leaders in Congress on a bill that improves aviation for every American and ensures our skies remain the safest in the world,” Baker said. The American Airlines flight, bound for Miami, was on its takeoff roll at Chicago O’Hare International Airport when a turbine disk in the right engine failed, sending metal fragments through a fuel tank and wing structure. Leaking fuel fed a fire. The flight crew aborted the takeoff and stopped the airplane on the runway. All passengers and crew evacuated and survived. One passenger was seriously injured after encountering jet blast from the good engine, which was still running. The NTSB found several problems with the evacuation procedures, including a lack of communication between the flight crew and cabin crew. The airplane was damaged beyond repair. The NTSB made one recommendation to American Airlines, one to Boeing, and seven new recommendations to the FAA. The NTSB also reiterated two recommendations to the FAA on emergency evacuations because that agency has yet to favorably act upon them. The complete accident report will be available in a few weeks. The findings, probable cause and safety recommendations, as well as Sumwalt’s prepared remarks and the PowerPoint presentations given on Tuesday, are all available online. Australia’s crash investigator has urged airlines and pilots to give heightened attention to risk areas such as understanding your aircraft systems, and adhering to cockpit monitoring and communication procedures to ensure a stabilized approach during the approach and landing phases of flight. The incident occurred at night on 19 February 2016, when an Indonesia AirAsia A320 was arriving from Denpasar, Indonesia. During the cruise, the captain’s flight management and guidance computer (FMGC1) had failed, and the flight crew had elected to use the first officer’s duplicate systems. The unresolved system failures, the conduct of the go-around, and the subsequent runway change all resulted in a significant increase in cockpit workload. This, combined with the crew’s unfamiliarity and preparation for the non-precision instrument approach to the new runway, hampered their management of the next descent said the ATSB. As the aircraft continued to descend, the air traffic controller received a “below minimum safe altitude” warning for the aircraft. The air traffic controller alerted the crew to their low altitude and instructed them to conduct a go-around. The crew then conducted another approach and landed without further incident. ATSB Chief Commissioner Greg Hood said that the approach to land is one of the most critical phases of flight, and stressed the importance of flight crews understanding their aircraft systems and adhering to cockpit control, monitoring and communication procedures to ensure a stabilised approach during the approach and landing phases of flight. “The approach and landing phases of flight are amongst the highest of workload for flight crews, and domestically and internationally where we see the highest accident rate” Mr Hood said. “It’s a complex operation at the best of times, but when something unexpected occurs such as a failure of an aircraft system in-flight, it can add substantially to flight crews’ workload. “The ATSB urges all flight crew to ensure that they understand their aircraft systems, and how the aircraft will respond in a degraded mode, and to adhere to cockpit protocols and procedures to ensure a safe approach and landing. If there’s any doubt or confusion, or if the stable approach criteria is not being met, communicate it, and never hesitate to conduct a go-around,” said Mr Hood. Jet Airways has fired two pilots who allegedly got into a fight and stormed out of the cockpit during a flight, leaving the controls unattended. The Indian airline said in a statement it had “terminated services of both the cockpit crew with immediate effect”. The staff involved, a man and a woman, were taken off flight duties following an investigation. The incident occurred on a New Year’s Day flight from London to Mumbai, during which the male co-pilot reportedly slapped the female pilot after they got into heated argument. The female pilot is believed to have left the cockpit in tears, followed briefly by the co-pilot. As a result the cockpit was left unattended on the flight which had 324 passengers and 14 crew on board. Aviation safety rules state at least one pilot should remain at the controls at all times during a flight. 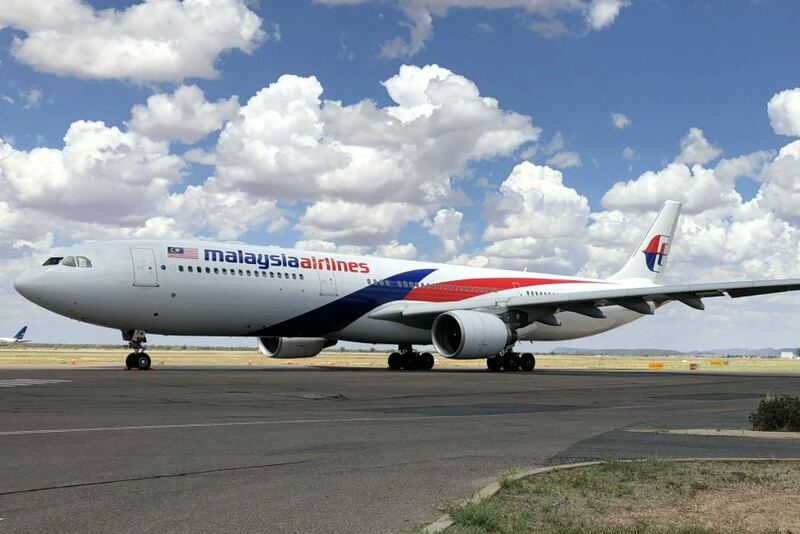 The incident is alleged to have happened shortly after the Boeing 777 took off, at around 10am UK time. The plane later landed safely and no one was injured. The Indian Directorate General of Civil Aviation (DGCA) told the Press Trust of India news agency that the pilot had also left the cockpit unattended twice during the incident, breaking safety regulations. “Shortly after the plane took off, the two pilots had a fight,“ a source told The Times of India. “The co-pilot slapped the lady commander and she left the cockpit in tears. She stood in the galley sobbing. The source added: “However, they had a fight for the second time following which she came out again. A spokesman for the airline told the newspaper that an investigation had been launched after the incident. Delta 747s operate final charter flights. 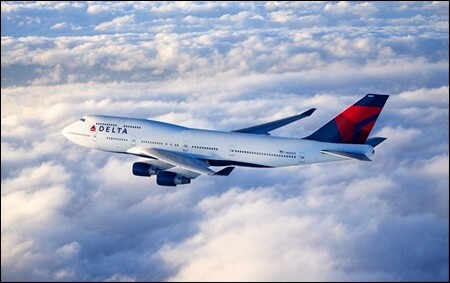 The last Boeing 747 passenger jets operated by a US airline are doing the rounds on Delta Air Lines sports charter flights before heading off to be parked in the desert on January 3. The handful of NFL charters to airports such as Atlanta, Dallas-Fort Worth, Los Angeles and New Orleans signal an end of an era for US airlines, although the plane lauded as the “Queen of the Skies” will fly on in other parts of the world. After operating its last scheduled 747 flight between Korea and the US, Delta hosted an “All Hail The Queen” farewell tour for employees and select frequent fliers before Christmas. The tour included manufacturer Boeing’s Paine Field as well as Atlanta and Los Angeles before ending in the former Northwest Airlines hub of Minneapolis-St Paul. It ended in style with an officially-sanctioned “missed approach” by a Boeing 747-400 after circling the twin cities at low -altitude. But the airline says planespotters and other enthusiasts will still have a chance to see a Delta 747-400 through January 2 as four of the big jets visit several airports on charter duties. Remaining destinations are available on @DeltaNewsHub on Twitter and after that, Delta notes, the big planes will disappear from the skies. The 747 was the first widebody to sell 1500 units and was instrumental in making air travel more affordable for millions of travelers by allowing airlines to fly more people for less cost. But giving life to the plane that changed the world was a challenge that brought Boeing, the world’s biggest aerospace company, the then-biggest engine maker Pratt &Whitney and the legendary Pan American World Airways to their knees. Boeing announced plans to build a 490-seat plane in April 1966, at a new plant in Everett, Washington. In following years, B747s would break records, carry space shuttles and transport US presidents. Delta received its first 747 in 1970 and like many airlines of the day introduced luxury on-board lounges, including a six-seat space known as the Penthouse which came with its own dedicated flight attendant. The 747 was also the first of the carrier’s aircraft with overhead bins for carry-on bags instead of open racks. The airline would retire the last of its 747 fleet in 1977 and would not operate them again until it acquired a new fleet of 747s from its merger with Northwest Airlines in 2008. 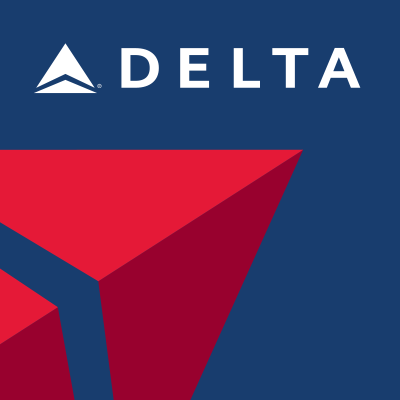 The merger would give Delta 16 747-400s, two 747-200s and 747-200 freighters. Northwest had been the first airline to operate the Boeing 747-400 in 1989 and the enhanced version of the 747 would go on to be the biggest selling variant of the Queen of Skies. It included a two-crew glass cockpit, improved engines, optional additional fuel storage and a more efficient airframe. Its reign has been ended by the emergence of fuel-efficient twin-engine planes with which it could no longer compete. In Delta’s case, the 747s are being replaced by Airbus A350s. However, Boeing’s 787 and 777 aircraft have also done as much to hasten the demise of the plane. The US manufacturer has continued to produce a new, more fuel-efficient iteration of the 747, the 747-8, in both passenger and freighter versions. 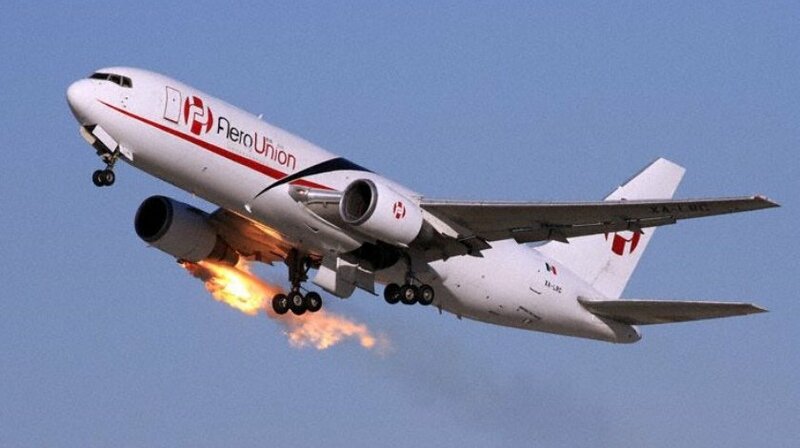 AeroUnion Boeing 767-200 freighter, performing freight flight from Los Angeles to Guadalajara with 2 crew, was in the initial climb out of Los Angeles when a crew about to taxi into position called out “engine on fire”. Tower immediately followed advising AeroUnion of smoke coming from their right hand engine (CF6). The crew advised they would continue on runway heading, tower offered a right turn onto runways 06 or 07 on pilots discretion, the crew decided to stop climb at 1500 feet and return to runway 25L. The aircraft joined a right downwind for 25L, tower instructed one aircraft on final for 25L to go around and another one to immediately change to approach frequency again. The 767-200 landed safely on runway 25L about 8 minutes after departure, emergency equipment checked the aircraft and reported pretty heavy smoke from the engine, the crew advised they had already discharged one bottle of fire agent. The occurrence aircraft is still on the ground in Los Angeles about 24 hours after landing back. Japan Airlines and US-based Boom Supersonic have announced a strategic partnership to bring commercial supersonic travel to passengers with a commitment to 20, 55-passenger supersonic jets. Through this agreement, JAL will provide its knowledge and experience as an airline to support Boom in developing the Mach 2.2 aircraft. As part of the agreement, JAL has made a strategic investment of $10 million in Boom and is collaborating with the company to refine the aircraft design and help define the passenger experience for supersonic travel. “We’ve been working with Japan Airlines behind the scenes for over a year now,” said Blake Scholl, founder, and CEO of Boom Supersonic. “We are very proud to be working with Boom on the advancement in the commercial aviation industry. Through this partnership, we hope to contribute to the future of supersonic travel with the intent of providing more time to our valued passengers while emphasizing flight safety,” said Yoshiharu Ueki, President of Japan Airlines. The JAL Group will continue to embrace new technology to deliver greater customer convenience and comfort, enhance its networks, and improve the quality of its products and services. 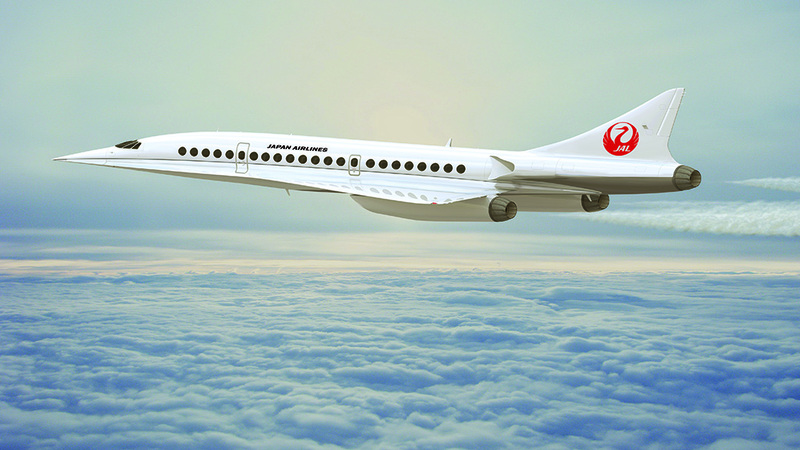 Including the JAL commitment Boom as 76 options for its supersonic airliner. Virgin Atlantic announced 10 options in mid-2017 and there are three other operators for the other 46 aircraft. DHL Express has become the first operator to take delivery of the A330-300 Passenger-to-Freighter (P2F) converted aircraft from Elbe Flugzeugwerke (EFW), the joint venture between ST Aerospace and Airbus. This delivery, which took place at EFW’s freighter conversion facilities in Dresden, follows the successful completion of test flights in October and awarding of the Supplemental Type Certificate (STC) by the European Aviation Safety Agency (EASA) in November. DHL Express has firm orders for eight A330-300P2F units in total, with additional options to receive another 10. “DHL Express is very excited to be bringing the first A330-300 P2F into commercial operation within our international air network,” said Geoff Kehr, SVP, Global Air Fleet Management, DHL Express. “We congratulate DHL on the delivery of its first A330-300P2F. We are confident that this new-generation and efficient mid-sized freighter will bring significant benefits to DHL’s international express operations,” said Christopher Buckley, Airbus EVP Sales. 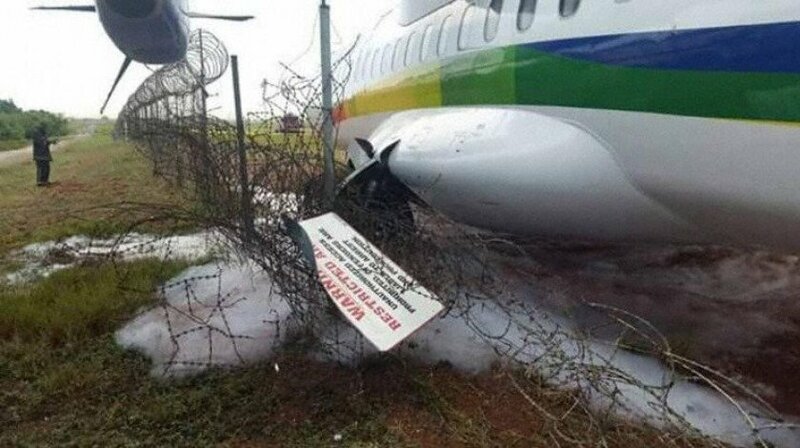 Starbow flight S9 104, an ATR 72-500, suffered a runway excursion during takeoff from Accra-Kotoka Airport in Ghana. During take off roll from runway 21 and before reaching a speed of 70 kts, the captain's seat suddenly moved full backwards violently and shifted to the left. Whilst controlling the aircraft with the nose wheel steering, the violent seat movement led to the captain turning the tiller to the left causing the aircraft to veer off the left side of the runway. The captain could not gain control of the aircraft until it came to a stop close to the perimeter fence after efforts by the copilot to retard the power levers. 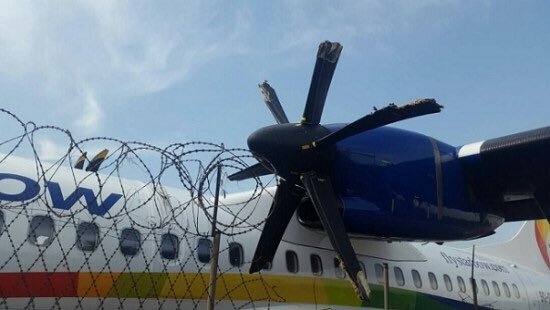 All propeller blades of the no.1 engine were damaged with some prop tips severed after impacting barbed wire at the airport perimeter fence. Five occupants sustained minor injuries. The aircraft, 9G-SBF, had only been delivered to Starbow on 22 November 2017.